It seems like days since I saw her at the bus stop but it was only yesterday. I doubt she lives in London but I think I will go to find her, just to make sure. I made my way to my car and drove to the bus stop and sat exactly where I did when I saw her. I looked up at the flats and saw her faintly in one if the flats near the top. I stood up and counted what floor number and the number of windows across. I heard a voice say "Maria can you get that please?!" Then another shouted "Yeah ok!" I stood there for a few seconds before the door opened to find the girl I have been looking for! I always liked to sit next to the window and watch busy London go by. It wasn&apos;t that busy today but people were still racing around. "I&apos;m just gonna get a shower before we go out for tea." 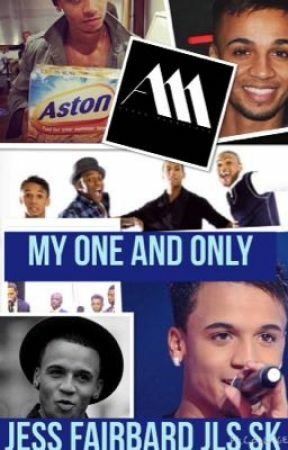 I just nodded but then I thought in the corner of my eye I saw Aston. I looked back to the window and no one was there so I guess I was imagining things. I walked away from the window and sat on the sofa. I put the TV on but as soon as I did I heard a knock on the door and heard Sophie shout "Maria can you get that please?!" I bellowed back "Yeah ok!" I walked to the door and opened it and saw "Aston?!" I said, shocked and surpirsed!